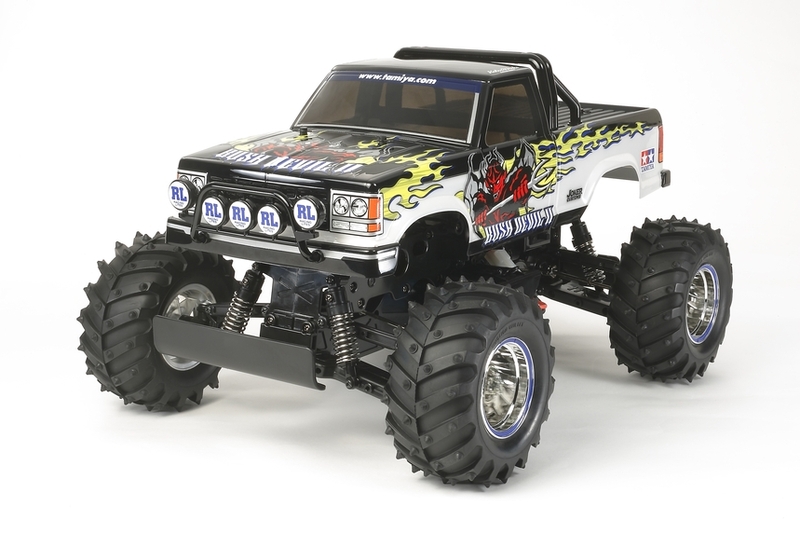 This electric R/C assembly kit combines a pick-up truck body with large diameter wheels to offer dynamic R/C off-road driving. The WT-01 chassis features a highly durable monocoque main frame made from polycarbonate-reinforced material and is matched with a 4-wheel double wishbone suspension. Stickers are included to depict the stylish blue rim on the metal-plated wheels to enhance the custom appearance. The 130mm diameter tires with lug-pattern tread will let you romp over all sort of terrain. The lightweight, durable polycarbonate body comes with parts for a roll bar and a grille guard with five auxiliary lights as well as stickers for the flamboyant livery. The monocoque main frame is made from durable polycarbonate-reinforced material. Battery pack, motor, and steering servo are positioned along the centerline of the chassis for optimum balance. 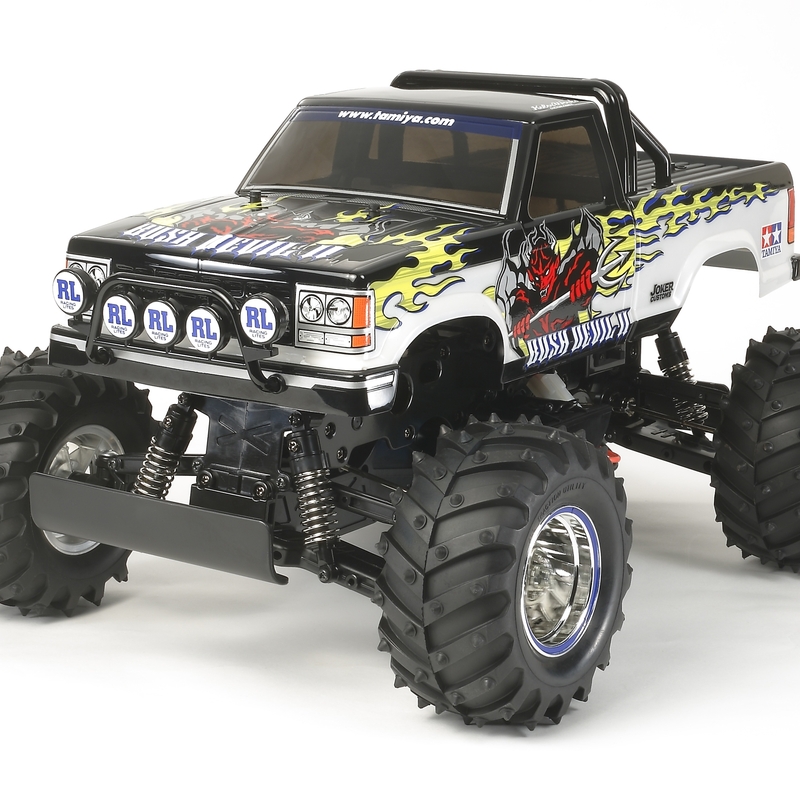 4-wheel double wishbone suspension features upper I- and lower H-arms and comes equipped with 130mm diameter tires with lug-pattern treads. 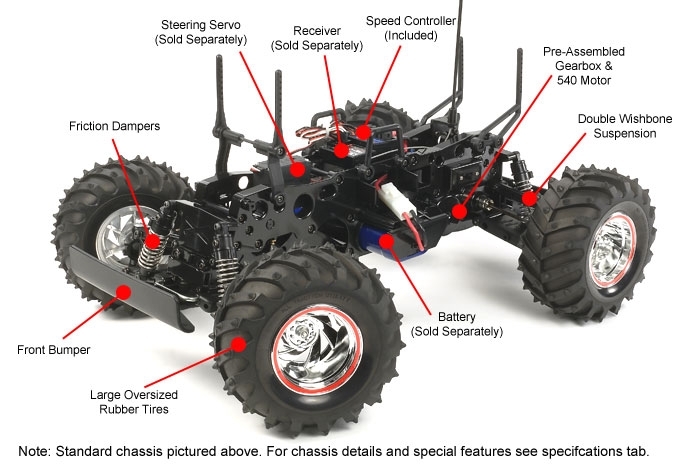 Furthermore, the pre-assembled gearbox is equipped with a differential for smooth cornering and can be conveniently detached for maintenance without disassembling the chassis.